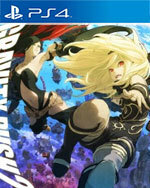 Gravity Rush 2 is a game designed for those who are looking for a lot of fun in a little package. There is never a shortage of tasks to accomplish - even if they are sometimes boring - and combat that takes getting used to but overall this game will leave a smile on your face. It can be a slog at times, especially the previously mentioned stealth missions, and the combat against a large group of enemies can get a bit cumbersome, but it's still a thrilling game that I can't help but recommend. Overall, Gravity Rush 2 is an early success for Sony in 2017. Its creative combat and travel system, lovely world and characters, and fun main missions help carry the game, even when I had to fight the camera, framerate, or puzzling story. 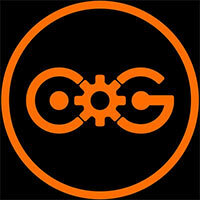 The good outweighs the bad, and you don’t even need to change how gravity works to see that. It’s a much bigger game than the original, giving you plenty of land to explore and tons of missions to beat. It feels so much different from your typical big-budget console game these days. It’s more of a comic book than an action movie, allowing players to delight in their own heroics. It’s one of the PlayStation 4’s most stunning and entertaining exclusives. 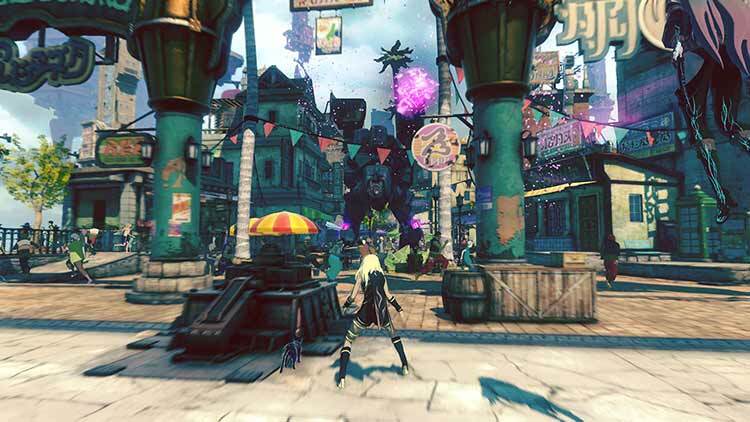 Gravity Rush 2 is a game unlike most of what’s out there on offer right now. It might take a little getting used to, especially if you didn’t play the first game, but if you give it a chance it will absolutely grow on you. Gravity Rush 2‘s post-launch support and top notch visual presentation combined with its engaging combat and engrossing story ensure fans of the original or Gravity Rush Remastered will find plenty to love about the sequel. It’s held back by poorly designed stealth missions that serve little purpose other than keeping players away from the better parts of the game and a wonky camera that can be downright disorienting at times, but otherwise Gravity Rush 2 is bigger and better than the first game. When Gravity Rush 2 sticks to its strengths, it soars; it’s a shame that its stale mission design and clumsy controls keep it from getting too high off the ground. Gravity Rush 2 seems to offer mind-bending action with an unique set of powers via its heroine Kat, but the major fault of the game lies in a story that’s unclear and features outside of gravity powers that aren’t anything new or complex. For all my little grievances, this game is still incredibly fun to play. The mechanics involved in moving, fighting and exploration are sublime in their execution. The slapdash way you rip through the skies just doesn’t get old. The combat feels tense, your mistakes are your own and there are multiple ways to win every fight. Gravity Rush 2‘s hybrid of cel-shaded animation and classic anime/manga illustration with its aesthetic remains pleasing to the eye and gives its game’s world a newfound sense of liveliness — whether it’s up amidst the clouds or wandering through the many streets or isles below. Though not as almighty a step up as some of the more recent sequels we’ve seen, Gravity Rush 2 remains a fun and intriguing place to return to. While the original Gravity Rush pushed the Vita to its limited, Gravity Rush 2 is unleashed upon the far more powerful PlayStation 4, giving us a game that’s as big in scope and substance as the concept designs its world and characters were born from. Among Sony’s efforts to give their console a wide array of more niche experiences, this gravity-controlling Kat is Queen. With a wealth of stories big and small to chew on, Gravity Rush 2 fulfills the needs of both a sequel and a prequel. The first Gravity Rush had enough going for it, but Gravity Rush 2 is stuffed with things to love. While its stealth missions are lame and it's disappointing to experience camera issues from time to time, Gravity Rush 2 excels in almost every other respect, making its predecessor seem quaint by comparison. Gravity Rush 2 is a step up in almost every way from its already enjoyable predecessor. The sense of freedom and adventure is great, thanks to the gravity bending abilities of Kat. Combat is still kind of dull and frustrating, but it's less of the experience this time. The gorgeous art style and design eases this pain though, delivering a great action experience for PS4. Gravity Rush 2 lacks quite a bit in the story department, even with the side missions, but the improved combat and series-unique exploration make it difficult to put the game down. Not only Gravity Rush 2 is a worthy successor for the first game, but it surpasses its predecessor (and its remaster) in ever aspect. Not only it’s extremely fun, engaging and even challenging, but due to its production and artistic value, it’s definitely one of those titles that you’ll want to show your friends when you need to demonstrate why you’re proud to be a gamer. They’re bound to be impressed. 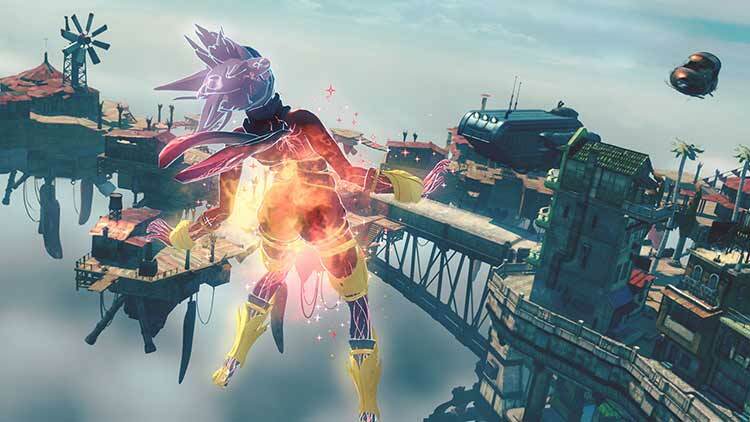 Gravity Rush 2 is a bigger sequel, but not necessarily a better one. While it offers more to play with and in greater variety, the lack of improvements to core features – as well as graphics that are far from impressive – hold it back from being something truly great. I’d still heartily recommend it despite the criticisms I’ve raised. Gravity Rush 2 is a marked improvement on the original in terms of story, graphics, gameplay and characters. It's not without its plot stumbles and boring ancillary missions, that hardly detracts from everything Gravity Rush 2 does well. Whether its flying through the sky, walking up walls or exposing a corrupt system driven by the wealthy and powerful, Gravity Rush 2 is a delight. Coming in fresh, I found Gravity Rush 2 so bright and original that I'm still playing it, even after the end credits. Gravity Rush 2 has its stumbles — the camera often feels at complete odds with what the game requires of you, a real problem in a game that so aggressively eschews standards physics. But even with so many directions to fall head over heels in, it lands on its feet — just like Kat. Gravity Rush 2 feels as great to play as it looks. 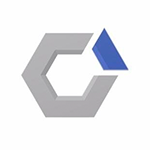 It’s a true fulfillment of a premise with tremendous potential that was previously hindered due to hardware limitations. It’s a massive improvement in every possible aspect from the original and makes a strong statement as my very first pick for a game of the year contender of 2017. We would have liked to have given this one a higher score, because the creatively implemented ideas fascinated us and we enjoyed them for the entirety of this lengthy game, but in the midst of frantic situations like when you're fighting larger opponents, or during the stealth-driven passages of play, unfortunately Gravity Rush 2 stumbles. In the end, Kat's latest adventure is a positive surprise, and the scope and the sheer size of the game far exceeded our expectations. Gravity Rush 2 is everything I wanted out of a sequel. It’s bigger, better, it’s drop-dead gorgeous and it never stagnates. You’re always given something new to play wit, whether it’s a new power, a new city, a new gameplay element. Every time I found myself settling into things, the game added one more thing onto my already packed plate, and I always welcomed it. Just as charming as the original, but the improved combat and clever new gravity abilities make for a notably better game. The gravity controls work very well and the newly expanded combat is a lot more interesting than before. Excellent art design and Kat is a great protagonist. The combat and mission structure may still be this series' biggest shortcoming, but colourful scenarios mean that you'll stick around long enough to see the sizeable story and its many side-quests through. So, while not everyone will be dazed by what this release has to offer, the sequel should at the very least ensure that existing fans continue singing Kat's chorus. This game succeeds at keeping the player involved, not just in the spectacle, but also in the minutiae. A talent for darting through city streets without clumsily slamming into walls isn't necessary to complete the story, but it's rewarding in its own way. Kat's odyssey is one well worth undertaking. Gravity Rush 2 is a bigger, more varied sequel that still doesn’t feel like it takes the leap it could have. The gravity-shifting gimmick is still a big draw, as is the delightful art style, protagonist Kat, and the clever world design, but the there’s a nagging feeling it could have been even better. It’s still a very good game though, and it certainly offers up something a little different in terms of a console exclusive. La música es buena y bien compuesta, aunque en ocasiones desentona con lo que está pasando. Aún y cuando todos estos defectos parecen muy importantes, no lo son tanto como para arruinar la experiencia de un juego que empieza un poco lento, pero que va tomando forma conforme juegas y avanzas en su fabuloso mundo que termina por conquistarte y del cual quisieras saber más. "Gravity Rush 2" es, en líneas generales, un digno sucesor del primer juego pues si bien en ciertos puntos es continuista, mantiene su jugabilidad en muchos aspectos así como el sistema de combate, en otros es una mejora considerable, especialmente en lo que se refiere a gráficos y la mayor amplitud del mapa disponible o la inclusión de aspectos como las características online. Gravity Rush 2 es un "sandbox" muy particular, en que el estilo artístico, los controles de la gravedad y un profundo sistema de combate se imponen sobre algunos fallos de cámara. Kat pone punto final a su historia con un juego a la altura (y nunca mejor dicho). Queríamos querer con todas nuestras fuerzas a Gravity Rush 2, sin embargo nos hemos encontrado casi con los mismos 'peros' del título original, aunque sí que es cierto que se han potenciado sus virtudes a la máxima potencia. El resultado es una aventura divertida y diferente, aunque algo irregular en su ritmo y propuesta. Con una buena historia y una campaña agradable y de una duración muy adecuada, poco se puede decir contra Gravity Rush 2. Es un lanzamiento elegante y efectivo en lo jugable, y colorista y alocado en lo visual y, al igual que su primera parte, tiene la facultad de no parecerse en nada a cualquier cosa que haya en el mercado. Al final del día, Gravity Rush 2 es una gran secuela para el juego de PS Vita que aprovechando su exclusividad con la consola casera actual de Sony aprovecha sus capacidades y su hardware, hasta detalles complementarios en la bocina del control o el uso de sus sensores de movimiento apoyan la experiencia. Es mejor que su predecesor en cuestiones narrativas, en la planeación de su medio centenar de misiones secundarias y todas las actividades adicionales como retos, carreras e interacciones en línea con otros usuarios. Gravity Rush 2 es más grande, complejo y completo, pero curiosamente repite casi los mismos defectos del primero, y a quienes no les gustara aquel, este tampoco les va a convencer. Es un juego muy japonés, con todo lo bueno y lo malo que ello conlleva, y si os gustó el primer Gravity Rush, o simplemente queréis ser los protagonistas de aventura de acción en mundo abierto que por momentos parece un anime interactivo, seguro que os dejará más que satisfechos. Gravity Rush 2 bietet mehr von dem, was Gravity Rush schon zu einem sehr guten Spiel gemacht hat. Es leistet sich dabei aber teilweise auch dieselben alten Schnitzer und ein paar neue, nicht nachvollziehbare Schritte, wie die Stealth-Missionen, die vieles, aber kein Fortschritt sind. Trotzdem ist Gravity Rush 2 eine Erfahrung, die euch so kein anderes Spiel bieten kann. Neue Fähigkeiten sowie das Anlegen seltener Talismane fördern dabei eine individuelle Spielweise, während das freie Schürfen nach Kristallen neben zahlreichen freiwilligen Aufgaben die spielerischen Möglichkeiten erweitert. Gravity Rush 2 verleiht der kleinen Serie vielleicht keine neue Dimension – gehört aber zu den faszinierendsten Abenteuern dieser Generation! 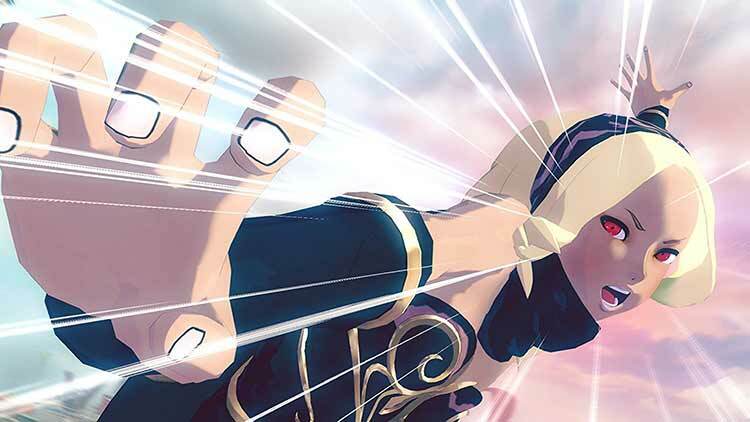 Gravity Rush 2 est la suite tant attendue d'un jeu sorti sur PS Vita il y a maintenant 5 ans. Il reprend l'intégralité de la formule, avec la possibilité de voler n'importe où et de prendre part à des combats spectaculaires, le tout dans des environnements grandioses, magnifiques et oniriques. Il se paye même le luxe d'améliorer la recette au passage, avec une très grande générosité dans le contenu et des améliorations de gameplay. Alors que le premier épisode avait marqué la PS Vita, il se pourrait bien que Gravity Rush 2 en fasse de même sur PS4. Profitant d’un véritable bond technologique, le jeu a réussi son passage sur console de salon. 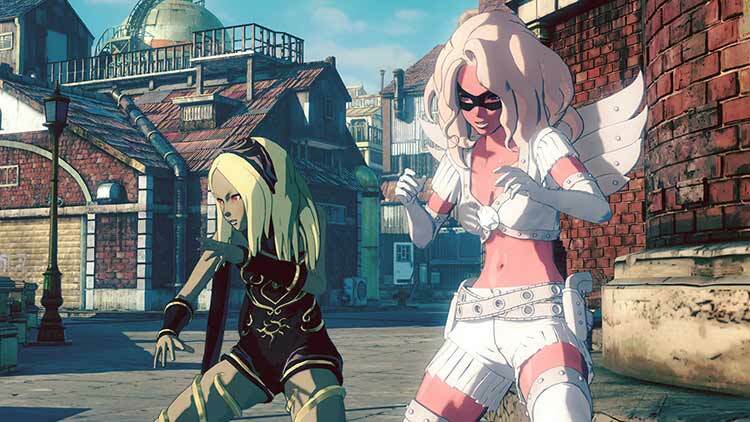 En termes de gameplay, Gravity Rush 2 s’est étoffé par rapport à son aîné. La palette de coups proposée est beaucoup plus large qu’auparavant grâce au mode "Lunaire" et Jupiter ce qui offre des combats bien plus intenses. Si le concept autour de la manipulation de la gravité est encore plus grisant qu'auparavant grâce aux modes Lune et Jupiter, c'est l'ensemble du contenu et le level design ingénieux de la ville de Jirga Para Lhao qui font de Gravity Rush 2 un immanquable de la PS4, même si vous n'avez pas fait le premier opus. Con questo encomiabile remake, Dragon Quest VIII: L'odissea del re maledetto riesce laddove altri esponenti del genere hanno fallito. Una storia semplice ma ben raccontata, una struttura solida che affonda le radici in un gameplay classico, e un meraviglioso mondo da esplorare sono gli ingredienti vincenti di questo straordinario JRPG. Il tutto rivisitato con cura e intelligenza, migliorando ed espandendo l'avventura originale senza stravolgerne l'essenza. Gravity Rush 2 è molto più vasto e articolato del precedente episodio, ma la sostanza non è cambiata: se quello vi era piaciuto, adorerete ogni istante di questa avventura. Viceversa, se proprio non riuscivate a tollerare i difetti che affliggevano Gravity Rush, il sequel non vi farà cambiare idea dato che, nonostante i vari miglioramenti, alcune problematiche di tipo tecnico e strutturale continuano a farsi sentire nei momenti. У Japan Studio получилось совершить практически невозможное — разработчики выстроили целый проект вокруг, по сути, единственной механики, но при этом сделали игру разнообразной и запоминающейся. Им удалось избежать частой ошибки и вовремя понять, что на единственной, пусть даже и очень крутой, особенности далеко не уедешь. Прекрасно реализованная механика Gravity Rush 2 обрамлена в живой, очаровательный мир, который способен рассказать множество цепляющих историй. 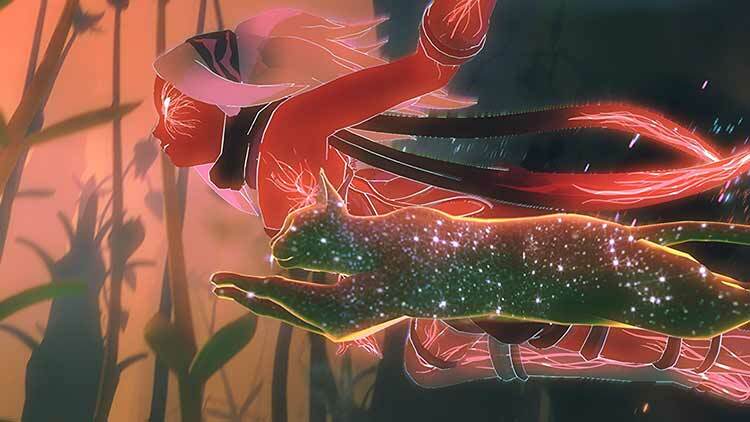 Son sözlerime gelecek olursam, Gravity Rush 2'nin gerçekten o beklediğim devam oyunu olduğunu rahatlıkla söyleyebilirim. Elbette çeşitli sıkıntılara da sahip ancak bunları görmezden gelebilirseniz Gravity Rush 2'den gerçekten büyük zevk alacağınıza eminim. Ancak incelemenin başında da dediğim gibi, ilk oyunu oynamadıysanız Gravity Rush 2'ye direkt kafa atmanızı tavsiye etmiyorum. Ondanks dat moet gezegd worden dat Gravity Rush 2 een absolute aanrader is voor iedereen die van open wereld games houdt. De prachtige visuele stijl, de leuke en innovatieve gameplay-elementen en de bruisende wereld zorgen ervoor dat je blijft spelen en al met al kan geconcludeerd worden dat Gravity Rush 2 gewoon een enorm vermakelijke game is. Het manipuleren van de zwaartekracht zal misschien zelfs nooit gaan vervelen. Een aantal niet volledig benutte features en een oververtegenwoordigd, verschrikkelijk frustrerend missietype brengen je met beide benen terug op de grond. Met een aantal slimmere designkeuzes had het mijn wereld helemaal op z’n kop kunnen zetten, maar zoals het nu staat, is het net niet de klassieker die het wel verdient te zijn. Mówimy tu o barwnym i unikatowym uniwersum, które oglądamy oczami sympatycznej bohaterki, uniwersum pełnym najróżniejszych zadań do zaliczenia – wielokrotnie sprawiających, że zapominamy całkowicie o głównym wątku. W obliczu szablonowych i taśmowo produkowanych sandboksów bez polotu, które ostatnio widuje się w branży, tak charakterystyczna i pozytywna produkcja bez wątpienia zasługuje na wysoką notę i uwagę graczy. Gravity Rush 2 oferuje wszystko czego można oczekiwać po świetnej kontynuacji. Świat gry jest bardziej rozbudowany, zadania poboczne mają nie tylko zająć nam parę dodatkowych minut, lecz przybliżyć również sylwetki postaci drugoplanowych. Sama rozgrywka również została urozmaicona, zachowując tę samą frajdę z kontrolowania grawitacji, jaką dawał oryginał. Szkoda, że nie obyło się bez błędów i szalonej pracy kamery. Tę perełkę trzeba jeszcze odrobinę doszlifować.